Most of us complain about the trivial things in life, but just imagine those who have to deal with hearing difficulties through every single day! Missing what people have to say can be extremely frustrating and deflating. Thankfully, there are an array of hearing aid devices and hearing aid accessories available today that have been designed to help. These all have the aid of making sounds clearer, sometimes amplifying them, dealing with difficult circumstances and allowing individuals to connect to smart phones and other modern technologies. The advances in this industry have been massive over the past few years. All you need to do is assess how technology has advanced in general to see how this is the case. 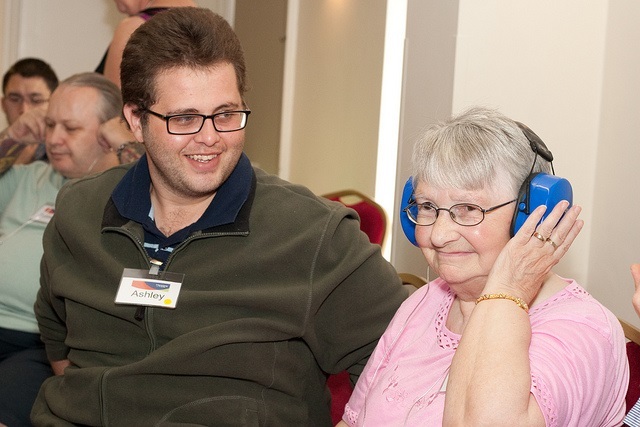 Those with hearing difficulties have more help available than ever before when it comes to trying to make their life as easy as possible. Purchasing the right hearing aid batteries for your device is something that is worth elaborating on a little bit further. A lot of people don’t realise how significant this is. If you do not buy the right batteries then you could actually end up compromising with your device. Here is a list of the different battery types available. Blue batteries are usually found in Behind-The-Ear (BTE) hearing devices, as well as in some cochlear implants. Yellow batteries are commonly found in both Completely-In-Canal (CIC) and In-The-Canal (ITC) hearing devices. Brown batteries are smaller in size and are usually found in In-The-Ear (ITE) and In-The-Canal (ITC) hearing aids. And finally, orange batteries are typically suited for In-The-Ear (ITE) and Behind-The-Ear (BTE) hearing aids. Below you will find the typical battery life for each type. Ear protectors – This protects your outer ear / inner canal from any noise, water or other dangerous substances that may compromise the functionality of your device. Hearing aid clips – These make hearing aids easier to wear because they prevent them from falling off your ear. Hearing aid storage cases – It is always a good idea to have a storage case to put your hearing device inside whenever you are not using it. Hearing device cleaners – It is so important to make sure you clean your hearing aid properly. There are many different cleaners available; ranging from wax guards to various sprays. To conclude, not only is there a fantastic selection of hearing aids available today, but there is a comprehensive range of hearing aid accessories as well. These are all designed to enhance comfort and prolong the life of your device too.